We’d love your help. Let us know what’s wrong with this preview of Twenty Nine Kisses From Roald Dahl by Roald Dahl. 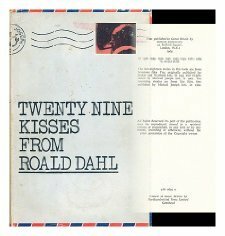 To ask other readers questions about Twenty Nine Kisses From Roald Dahl, please sign up. Want a bit of morbid, sarcastic, creepy, obnoxious and devilish twisted fun? contains the short story "The Sound Machine", one of my absolute favorites.